Pub brand Fuller's Kitchen, part of the Fuller's Beer Company, will launch an ice cream van in central London on 20 July in celebration of ice cream month. 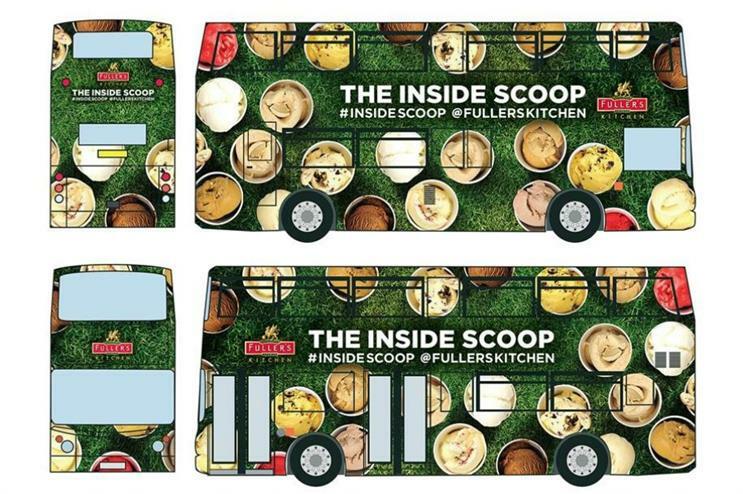 Fuller's double decker ice cream bus will be touring London from 20-30 July, offering Londoners the chance to grab scoops of ice cream. Guests can queue up to pick their favourite flavour and then can head to the top deck of the bus to chill out and snap a selfie for their social channels. The bus will start off in central London, before moving to Hampshire and finishing its tour in west London. Visitors will be able to test out the ice cream, which is made from buffalo milk and can sample unexpected flavours such as Brewer Street coffee, cinnamon, cardamom, Earl Grey, orange chocolate chip, raspberry ripple and mint chocolate chip. Production company The Fitting Room has worked with Fuller's Kitchen to stage the activation. More: Wall's celebrated National Ice Cream Day on 16 July with an emoji-themed ice cream van which appeared in Clapham Common. In June, Gin Mare opened a G&T ice cream parlour to celebrate World Gin Day.